You've seen (or at least heard of) the movie, now read the book. Click for full review by 11th-grader Gwen at her wonderful book blog. "Choices. Seventeen-year-old Mia is faced with some tough ones: Stay true to her first love—music—even if it means losing her boyfriend and leaving her family and friends behind? Then one February morning Mia goes for a drive with her family, and in an instant, everything changes. Suddenly, all the choices are gone, except one. And it’s the only one that matters. 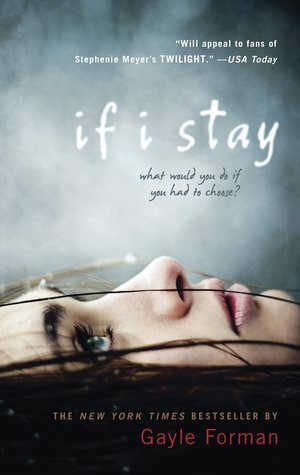 If I Stay is a heartachingly beautiful book about the power of love, the true meaning of family, and the choices we all make."